Vincent gave us a brief lecture about the art of shaping and some history behind surfing and the ocean. 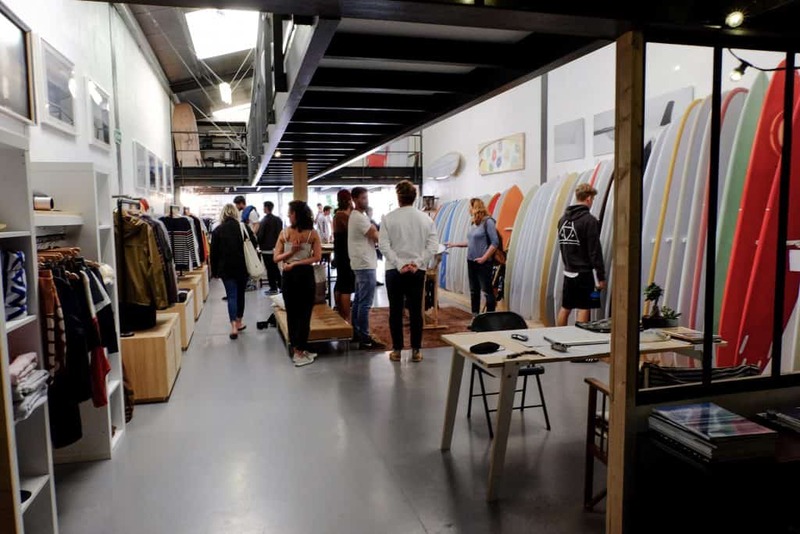 In his board shop Surfin Estate which lies close to the city Capbreton (Plage Central surfspot of the region), he is the shaper, designer and creator of his own brand. 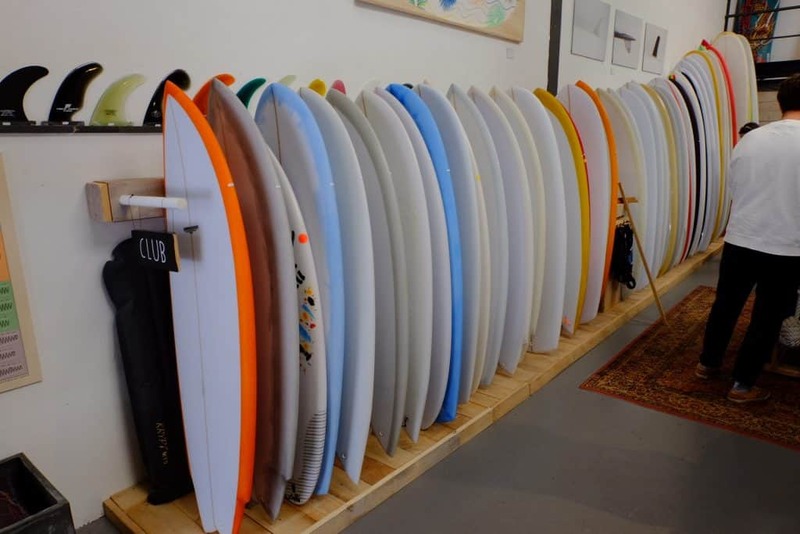 His high quality surfboards and surf equipment are appreciated by local surfers as well as visitors and surf tourists. Surfing is one of the oldest sports on our beautiful planet. The art of wave riding, is a blend of total athleticism and the comprehension of the beauty and power of nature. 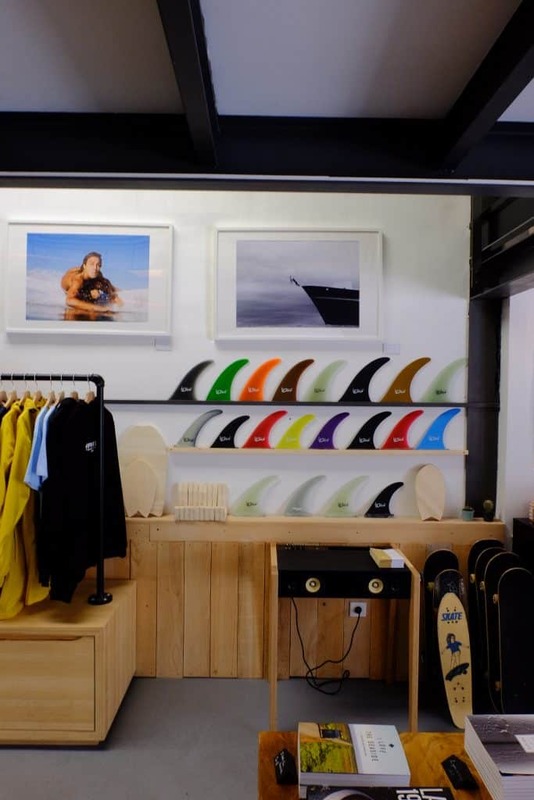 Surfing is also one of the few sports that creates its own culture and lifestyle along with other board sports like skateboard and snowboard. The act of riding waves with a wooden board originated in Western Polynesia over three thousand years ago. The first surfers were fishermen who discovered riding waves as an efficient method of getting to shore with their catch . Eventually catching waves developed from being part of everyday work to being a pastime. 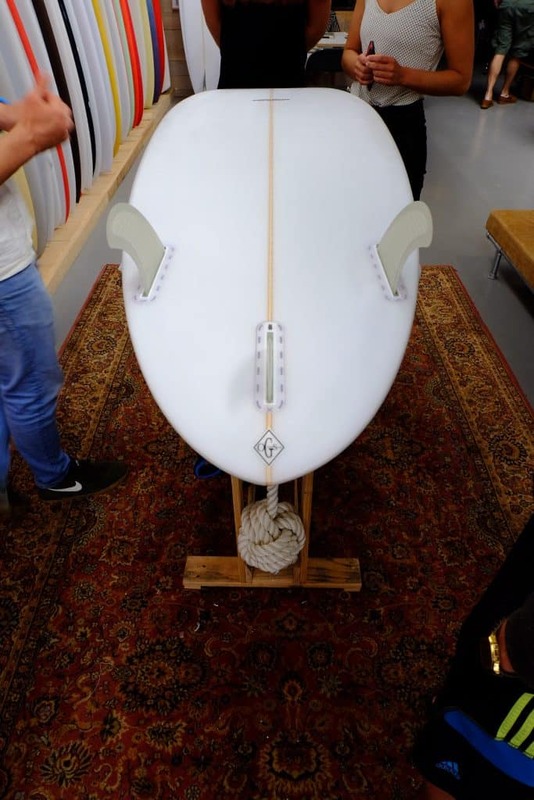 The following board shows a so called Gun, which is a long banana like shaped Surfboard made from polyethylene (or polyurethane). These surfboards originate from the beginings of mainstream surfing in the 60/70s in Hawaii. Most commonly used for big wave surfing from around 5-7m height. The second board he showed us was one of the classic models poping up in the 80´s. Surfboards where getting smaller (in Vincents oppinion too small). Fin and Fast became the motto in this decade. Nowadays even pro surfers are surfing with more volume in their boards to take the waves smoothly – Vincent. The third and last Board he showes us was a Twin Fish board (with a fish tail). These boards are for intermidiates and aimed to go really fast with lots of congcave which gives an increased effect on speed. Vincent compares these boards with skateboarding where the surfer can move more agile in the ocean. We are really thankful for this short and consice introduction into board shaping and the history behind it from Vincent. He is a great entrepreneur and his boards are worth every penny. We can highly recommend visiting his store even just to have a look at these beautys.